• Arabella Advisors (via PEAK Insight Journal) explains what pooled funds are and how they work: Basically, they act as nonprofit intermediaries to help donors amplify their impact as a group. • These intermediaries still take their cues from a governing body, which can be the donors themselves or issue experts. Which types of grantmakers would most benefit from such a system? • For more on the nuts and bolts of collective impact, click here. There are many ways that donors collaborate to advance their work in a particular field or issue. They might convene as a group to learn together, align their funding or operational strategies, and/or pool their financial resources to increase their impact. When donors wish to pool their resources, an intermediary can serve as a neutral and efficient platform to receive and deploy funds. Arabella Advisors manages several nonprofit intermediaries that have hosted more than 40 pooled funds over the past decade. We have learned many lessons along the way about what makes them successful. Below we share a few that are particularly relevant to grants managers. What is a pooled fund? In a pooled fund, multiple donors make grants to a single entity, often a 501(c)(3) intermediary, to have a greater and more coordinated impact on an issue. Dollars are combined to create a larger pool of funds, and participating donors jointly make recommendations about how these funds can be used. 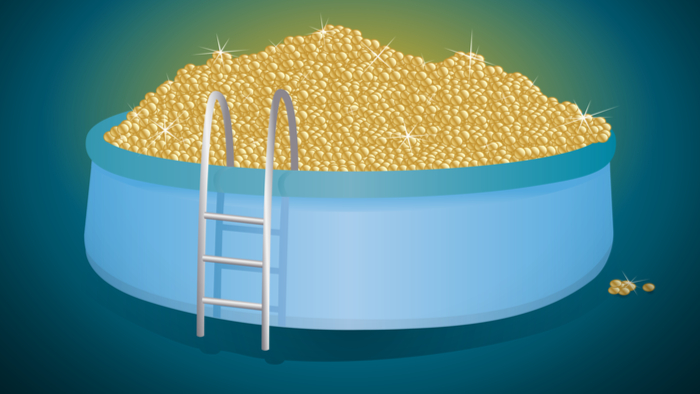 How do pooled funds work? Dollars are aggregated into a communal pot and used to pay for activities such as grant making, contracts, fund employee salaries, and other programmatic and operational expenses. If the pooled fund is hosted at an intermediary, that intermediary would manage finances, compliance, lobbying restrictions, grant making due diligence, and human resources for the fund. Typically, the intermediary, with input from the donors, hires a director to set strategy, oversee day-to-day activities, and serve as the liaison between the intermediary and contributing and potential donors. Intermediary services are usually paid for as a percentage of contributions going into the pooled fund. Pooled funds are guided by a governing body, usually comprised of its donors, with the option to include non-donors — such as issue experts — as well. The governing body is responsible for making recommendations to the board of the intermediary about the use of the funds. Read the full article about what grant managers need to know about pooled funds by Jordana Belke and Lydia Guterman at PEAK Insight Journal. If you are looking for more articles and resources for Impact Philanthropy, take a look at these Giving Compass selections related to impact giving and Impact Philanthropy. Is It Fair To Say Most Social Programs Don’t Work? Learning with others and benchmarking are key steps towards becoming an impact giver. If you are interested in giving with impact for Funding, take a look at these events, galas, conferences and volunteering opportunities to connect with individuals like you. If you are interested in Funding, please see these relevant Issue Funds, Charitable Organizations or Projects where you can get involved.